HÀ NỘI — Hà Nội on Monday inaugurated its first industrial waste-to-energy (WtE) facility in Nam Sơn Waste Treatment Complex, supplying electricity to the national power grid. 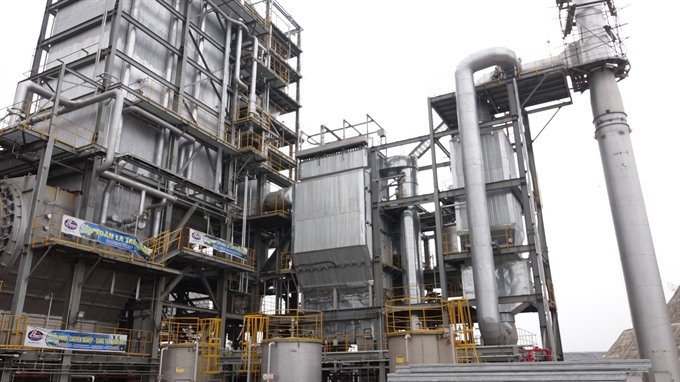 The plant, the first of its kind in Việt Nam, completed its first production batch of 1.93MW of electricity on March 16, of which 1.2 MW was successfully connected to the national power grid. The remaining power was used for the factory’s own production activities. Almost all of the factory’s equipment was supplied by the Hitachi Zosen Company of Japan. With total investment capital of VNĐ645 billion (US$29 million) including more than VNĐ472 ($22.5 million) of non-refundable aid from Japan’s New Energy and Industrial Technology Development Organisation (NEDO) and the remaining VNĐ173 billion extracted from the city’s budget, the NEDO Factory was first put into trial operation on September 16 last year after 22 months of construction. The waste treatment complex was built on a 16,809 sq.m land in Nam Sơn Commune of Sóc Sơn District. The Vietnamese partner, the Hà Nội Urban Environment Company (URENCO), was responsible for the construction of the factory’s foundation and technical infrastructure. The company’s installation and operations of construction technology was conducted under the supervision of Japanese experts. The NEDO Factory fully meets current requirements of a WtE facility ready to fulfill its environmental mission, said environmental experts at a ceremony to mark the inauguration on Monday. With the application of Japan’s most advanced WtE technology, the factory, with a waste treatment capacity of 75 tonnes per day, is considered a pioneering project of Việt Nam’s industrial waste treatment industry. Speaking at the ceremony, Hà Nội People’s Committee Vice Chairman Nguyễn Dõan Toản affirmed this was not only the first project in Việt Nam and the region that transforms waste into power, but also a symbol of friendship between Việt Nam and Japan. It marked a milestone for Hà Nội in its efforts to protect the environment and recycle waste into power, according to Toản. The city official said the factory will be fully handed over to URENCO in October this year for management and operation, said Toản.